How about combining the pleasure of doing sports with the joy of sleeping in dream-like places and devouring genuine cuisine of the highest places in Europe? 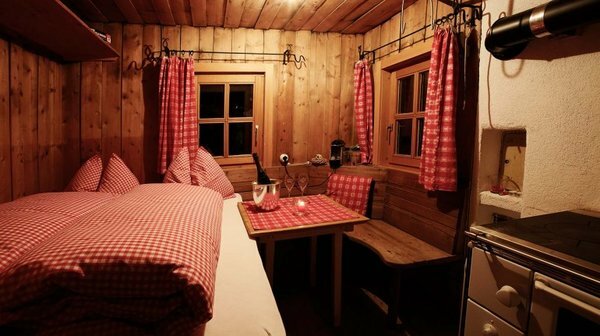 The mountain or shelter huts in the Alps of South Tyrol can offer these and much more! Here lovers of nature and sports can find delicious food, protection from the elements, good rest and surely sweet dreams. 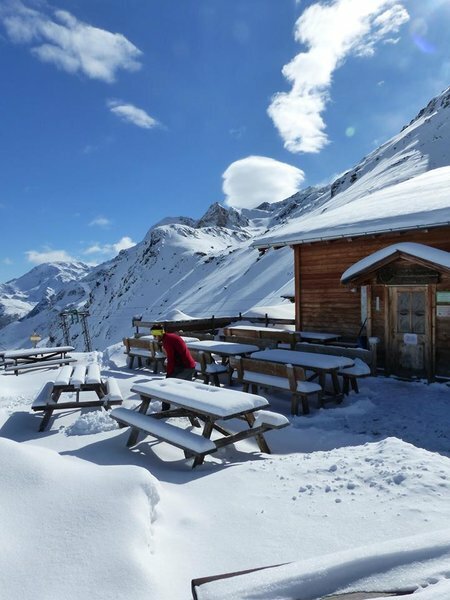 The shelter hut hosts go to extra lengths to ensure the guests experience spectacular views, traditional dishes and the Alpine cordiality - fun and great time is guaranteed. 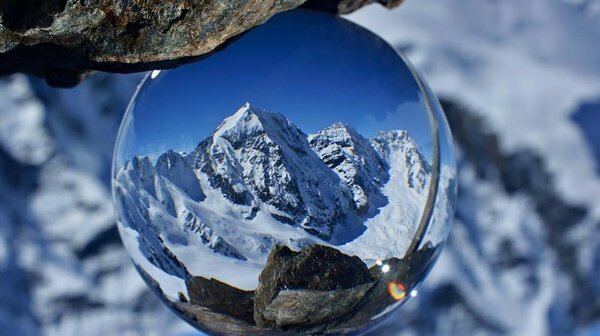 The South Tyrolean Alps are considered one of the most beautiful ski areas in the world. Skiing, snowboarding, ski mountaineering, snowshoeing or just going down on a sledge are great winter sports activities to enjoy during Christmas time and all winter round. In a mountain hut called “Stella Alpina” you are going to meet hospitality, cordiality, friendliness and a breathtaking view of the Sella range in the foreground, and Marmolada (aka Punta Penia https://routes.tips/blog/mountains_with_two_names_in_italy) and Mount Civetta in the distance. 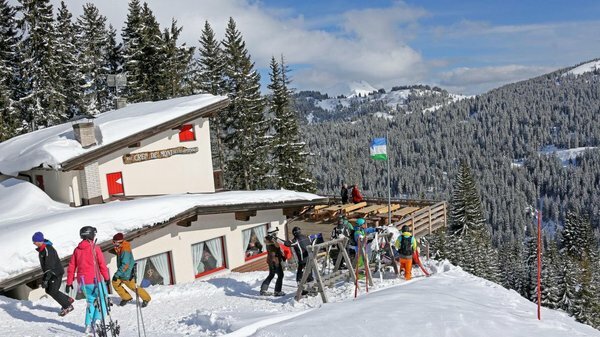 This mountain hut has a restaurant and pizzeria with a wide variety of tasty dishes and mouth-watering pizzas. 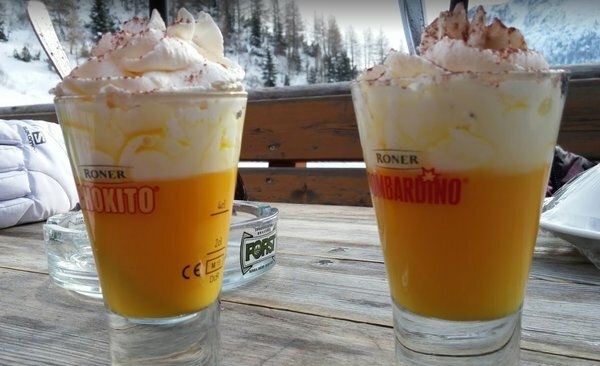 The refuge is ideally located as a point for refreshment during a hike or for a stop during a day on skis, maybe during your ski trip to the Sella Ronda. There, where South Tyrol meets the eternal ice of the Hochjoch glacier on North Tyrol, is the Schöne Aussicht hut. And its name is already a programme, because the distant view is breathtaking! 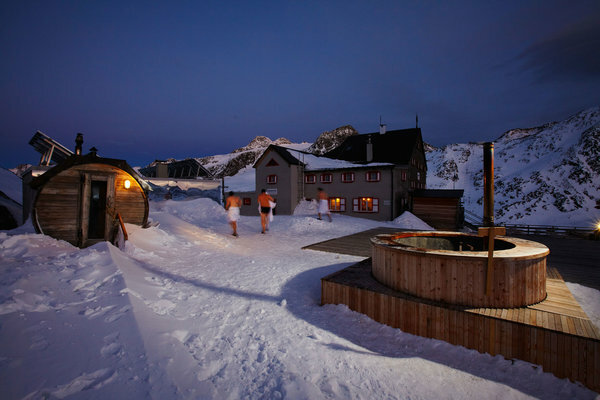 You can enjoy the view from the small outdoor heated pool - or from the Swedish sauna, which can also be called the highest outdoor sauna in Europe. This romantic mountain lodge in South Tyrol creates a harmonious balance between traditional architecture and modern comfort. From the very beginning the Kreuzwiese shelter - built in 1932 - was considered a protective and comfortable shelter for shepherds and hikers. This has never changed since. It can feel as a simple bivouac for groups of hikers or a love nest in a luxury suite. You can go snowshoeing, tobogganing and cross-country skiing and then maybe take a hot sauna that not only relaxes tense muscles, but also has a purifying effect, preparing you to taste cheeses produced directly by the owner, perhaps accompanied by superb local wines. Nothing is left to chance in this refuge. Especially when it comes to wellness. Directly in front of the refuge Nino Corsi there is a small picturesque chapel, next to the sauna with a wood-fired log cabin. Included: view of the mighty three thousand of the Cevedale and the Ortles massifs. The Martello mountain hut is located in the Stelvio National Park in the southern group of the Ortles and is surrounded by no less than 15 mountain peaks over three thousand high. There is a wonderful and wide range of activities for skiers and mountaineers. 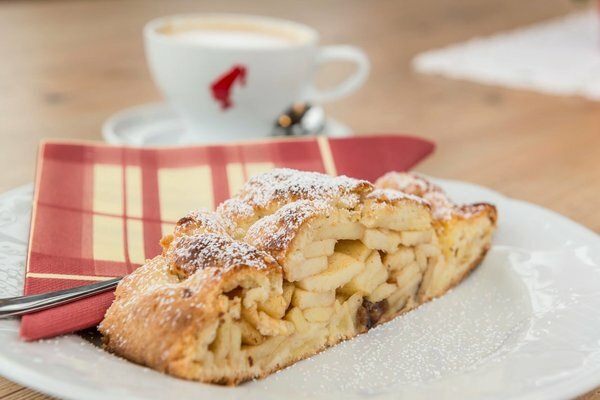 Further to this, here they serve probably the best roasted pork in South Tyrol, gnocchi with pancetta and the apple strudel. All dishes are freshly made each day. It is definitely worth climbing so high! Open from middle February 2018. 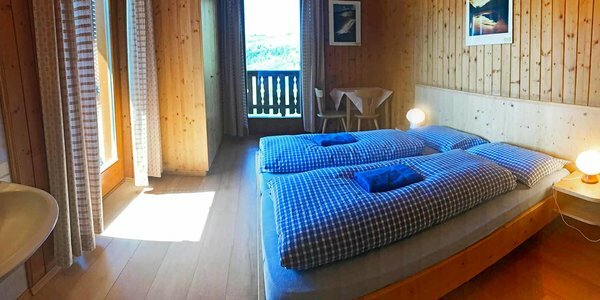 The energy and creativity of the new owners, the Niederkofler brothers, has recently transformed this mountain hut into a very special place. 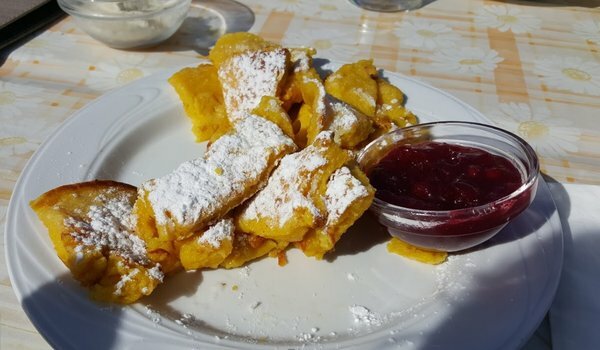 The best traditions of mountain hospitality are preserved and typical Ladin recipes take a second life. It is no coincidence that the symbol of the shelter is the chamois, one of the most skillful, fast, and graceful animals in the Dolomites. 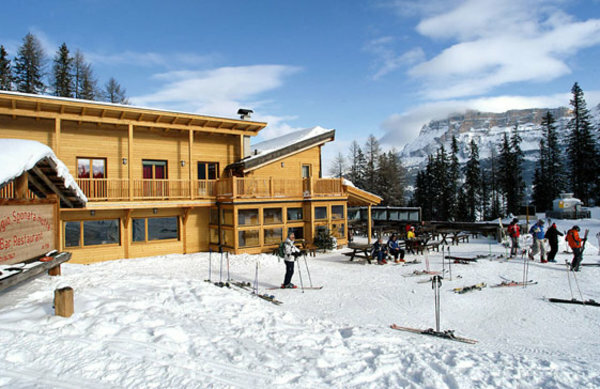 Easily reachable from Corvara and Passo Campolongo, the Crëp de Munt mountain hut is located directly on the ski slopes. 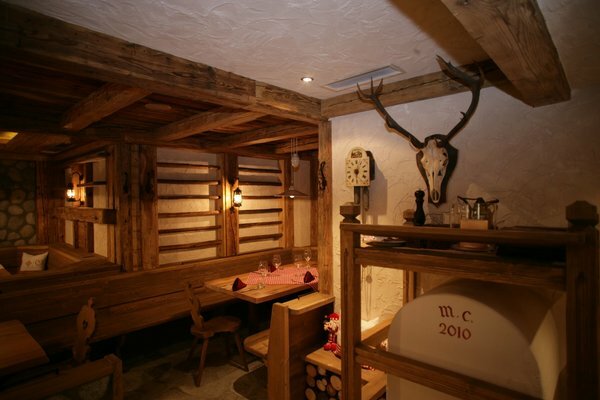 Directly on the Mittager ski slope of the idyllic Merano 2000 ski area, the mountain hut is an ideal starting point for ski enthusiasts. The ski area of Merano 2000 is not only a paradise for skiers, it is also an exemplary place for walks in the snow and snowshoes. The shelter can also be reached by a ski mountaineering route. 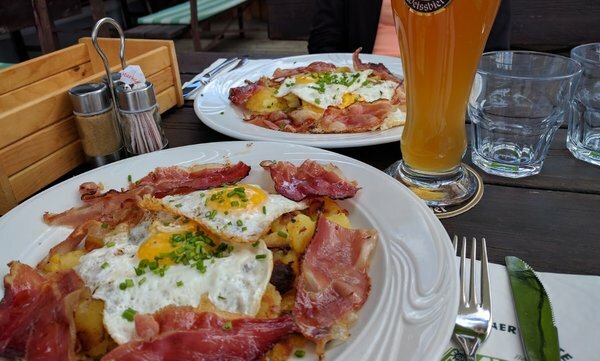 Here guests can stay on a large sunny terrace or at a bar and taste the extraordinary South Tyrolean cuisine. 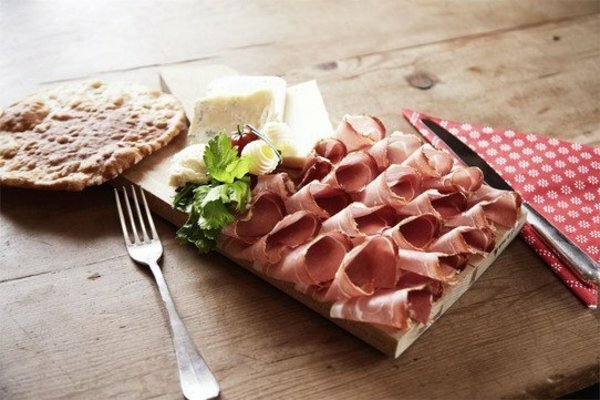 The dishes are mainly made with products with zero carbon footprint as they are produced by local farmers. 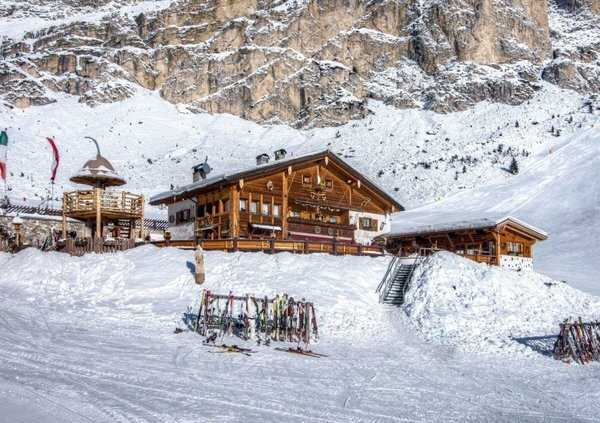 The mountain hut Sponata is in La Villa or Stern, in the heart of the Dolomites, in Alta Badia, at 1,730 meters above sea level directly on the Sponata and Gardenaccia slopes. 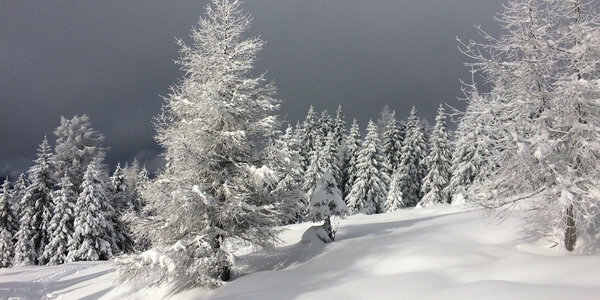 During winter period this area is a part of the Superski Dolomiti with more than 1200 km of connected slopes. It is the quintessential starting point for beautiful walks and interesting excursions at various altitudes.